Chichester Harbour is an ideal water recreation centre with its 11 square miles of water, 17 miles of well marked and lit channels and easy access to the Solent. The sheltered waters are ideal for racing and day sailing and its channels offer secure moorings for cruising vessels. In addition, the harbour is an Area of Outstanding Natural Beauty and of national and international importance for nature conservation. The low lying entrance to Chichester Harbour is not easily distinguished against the backdrop of the South Downs and is bordered on both sides by extensive drying banks; West Pole, Middle Pole and East Pole Sands, the latter extending more than a mile seaward. A deep-water channel running between these banks to the harbour entrance is interrupted by a bar joining West to Middle Pole and East Pole Sands, this mobile feature varies in position and height and is periodically dredged to maintain a charted depth of 1.5 metres. The width of the dredged channel across the Bar is a little less than 200 yards. Vessels approaching the harbour from the west are advised to shape a course for West Pole Beacon 50º 45’.45 N, 00º 56’.59 W. On rounding the Beacon aim to pass between Eastoke Buoy and West Winner Beacons leaving the Bar Beacon 50º 46’.023 N, 00º 56’.380 W, close to port. When approaching the harbour from the east, mariners are advised not to cross the 5 metre contour until West Pole Beacon bears 310º T. On reaching the beacon shape a course for the harbour entrance keeping the Bar Beacon close to port. Chichester Bar is normally dredged to approximately 1.5m below chart datum giving a depth of 2m at MLWS. However, through gradual accretion and after severe gales the bottom can vary markedly and it is then prudent to assume a least depth of 0.8 metres below Chart Datum. Mariners should be aware that ebb tides in the entrance to the harbour can attain a rate of up to 6 knots on springs. With a falling tide and strong winds from a southerly sector a dangerous sea may be encountered. In these conditions it is advisable to exercise caution and cross the bar between three hours before and one hour after HW springs. In very strong winds entry should not be attempted. The speed limit throughout the harbour is 8 knots and is strongly enforced. Up-to-date tide and weather information at the Harbour Entrance is available at www.chimet.co.uk or from the Harbour Office. The Harbour Patrol maintains a VHF radio watch on Ch 14, Call Sign ‘Chichester Harbour Radio’ or ‘Chichester Harbour Patrol’. The speed limit throughout the harbour is 8 knots. Useful navigation information, including race start times and locations, is published each weekend as an eNewsletter, sign up at www.conservancy.co.uk to receive a copy. Sparkes Marina, on the south-east tip of Hayling Island, lies within Chichester Harbour – one of Europe's largest natural harbours. The area is famous for its birds and marine life and stunning sunsets. The facilities at this 140-berth marina include 24-hour showers and toilets, a laundry room, an office and reception, plus the all-new Drift: Hayling Island bar and restaurant. When approaching the marina, enter Chichester Harbour and proceed on the starboard side of the channel until the Hayling Island Sailing Club mast is bearing 240 degrees M (236 degrees T) on the portside. From this position you will see an East Cardinal Mark with tide gauge bearing approximately 290 degrees M (286 degrees T) and a jetty pontoon on the sailing club shore. Alter course to port onto a heading of 281 degrees M (277 degrees T). Adjust your course to pass midway between the cardinal mark and the pontoon. You will now see transit marks consisting of two Day-Glo orange St Andrews Crosses, bearing 281 degrees M (277 degrees T). Adjusting your course to keep the transit in line, proceed down the transit for approximately three cables, leaving the pile mooring to port. As you pass the last pile mooring you will see steel piles with red can top marks on your port bow (South West). Follow these marks, which will lead you into the marina. The approach channel from the Sailing Club to the Marina has been dredged to 2 metres below CD. Sparkes Marina has 140 berths; max LOA: 20m; fuel (diesel, petrol and marine gas); dry boat sailing for yachts and motorboats; swinging moorings; 40-ton mobile crane; storage ashore; full maintenance services; 24-hour showers and toilets; laundry facilities; restaurant and bar; yacht brokerage; sea school; and MDL Wi-Fi. The Hayling Yacht Company is a family owned business which has generations of experience providing expert boat repairs, osmosis treatments, winter boat storage and marina berths. With so many years on the water, they have learnt to change with the times, embracing the latest technology and techniques for boat repairs, but keeping some things the same such as pride in their work and a commitment to their customers. Located on the western edge of Chichester Harbour they are prefectly positioned to take advantage of the natural shelter, opffering calm marina berths and safe boat storage- with over 15,000 squarre feet under cover . Their hard- standing boat storage gives access to both electricity and water points, and soft mud berths offer exceptional value for money. Northney Marina offers excellent boatyard facilities for boat repairs or maintenance work. There is storage ashore for over 200 boats as well as a 35-ton boat hoist and crane for mast stepping. There is also a modernised slipway, with an access pontoon, giving easy access to the water for trailer sailors – with ample space for car parking and trailer storage. When approaching Northney Marina, enter Chichester Harbour onthe top half of the flood. Continue north up Emsworth Channel for 3 miles to Emsworth south cardinal light beacon. Here fork 45° to port up Sweare Deep. After 8 cables turn sharply port around the Northney red beacon. Enter the marina via a short channel dredged 1m; access H24. Northney Marina has 228 berths; max LOA: 24m; fuel (diesel); boat lifting and storage ashore; 35-ton boat hoist; slipway; car parking and trailer storage; boatyard services; yacht brokerage; laundry facilities; café; provisions shop; and MDL Wi-Fi. 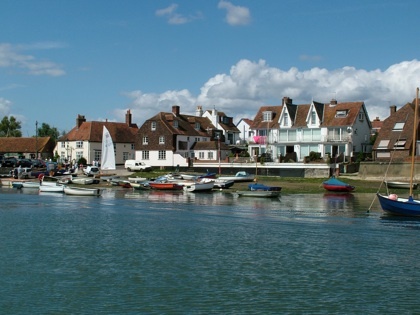 Emsworth is a friendly, family owned marina within walking distance of the attractive village of Emsworth with famous restaurants and eight pubs. There are limits on access due to the fixed sill and the marina is accessible ±2 HW. The marina has 220 fully serviced pontoon berths; hard-standing for 200 boats; and a visitor pontoon. There is a 50 tonne travel hoist, 10 tonne crane, and Wise W10 boat parker. The Deck Cafe and Chandlery on site; range of boat repair services; slipway and drying grid; diesel and Calor Gas sales; and free WiFi. Thornham Marina is at the top of Prinsted Bay in Chichester Harbour. Visitors can moor on drying pontoon berths, on pontoon berths within a gated basin, or on swinging moorings. Access to pontoon berths is around ±2 HW, (swinging moorings is 2.5 hours), depending on tide height. To find Thornham Marina enter into Thorney Channel and proceed north, pass Thorney Island SC and church to port. Follow the moorings all the way to the entrance to Prinsted Bay. 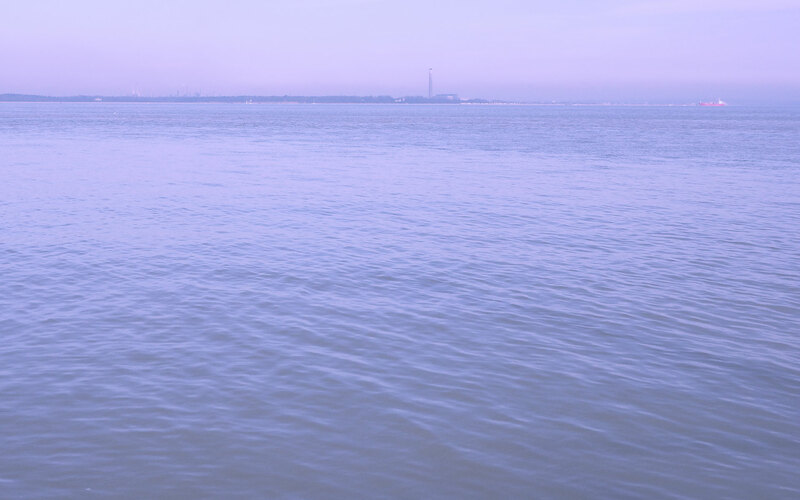 After entering the bay, follow the channel markers which will then guide you into the deep water pool or pontoon berths. Call Sign 'Thornham Marina', VHF Ch 80. There is storage for around 300 vessels; a 12 ton boat hoist; electricity and water; toilets and showers; and car parking. The Marina is situated on the southern edge of Chichester Harbour six miles from the entrance, in an Area of Outstanding Natural Beauty. Birdham Pool can accommodate up to 265 vessels and berthing is mostly between piles, bow or stern to the shore or jetties. The approach channel to Birdham Pool Marina is approximately 10m in width. Please call on VHF Ch 80, Call Sign 'Birdham Pool Marina', or by mobile to the lock on 01243 512310 or 07831 466815. Entrance and exit via the lock is available 3 hours before high water, throgh to 4 hours after high water. Chichester Marina is situated upstream from Birdham Pool on the starboard side of Chichester Harbour. Once inside the harbour you need to head northeast past East Head and towards Itchenor to arrive at the Marina. The channel to the marina is marked by the Chichester Marina starboard pile. Maximum speed 6 knots. There are five starboard markers, each with a green top mark, in the approach channel. Chichester Marina operates on VHF Ch 80, 24/7 all year. On arrival, moor your vessel on the outer waiting pontoon and go to the marina office for locking instructions, or contact the marina for a berth allocation prior to your arrival. During busy periods a queuing procedure may be in operation. The duty lock-keeper can advise on current locking arrangements. The lock allows 24-hour access to the marina with excellent security provided around the clock. The marina has luxury toilets and showers; a launderette; convenience store; a new Cafe Bistro overlooking the water; Wi-Fi; free parking; post collection point; waste and recycling facilities; a new boatyard facility with a wide variety of marine tenants and an undercover boatshed. Haines Boatyard is synonymous with the shipwright and painting expertise required to restore and maintain a varied range of classic and modern keelboats, yachts and motor craft. They are proud of their long heritage offering a wide range of services for boats up to 34ft and 6 tonnes, including hauling, launching, pressure washing and anti-fouling. Indoor and outdoor summer and winter storage is available for all types of boat up to 28ft. Facilities include a fully-equipped shipwright, painting and rigging workshop with a 10 ton gantry.